The Coaching Pathway – Move. Run. Sports. The coaching pathway has so many different options and strands now to help coaches really focus on what type of coaching interests them the most. Really specialising in the areas they feel they know the best. 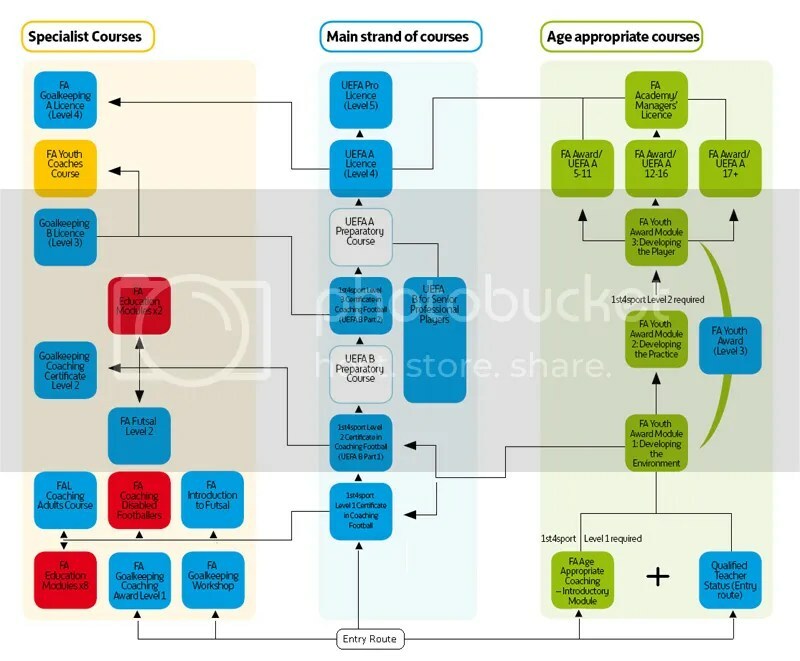 If you are new to coaching this who model of the pathways in coaching might look a little daunting, but it basically just shows the different routes you can take. The newest strand being the redevelopment of the age appropriate courses in the form of the FA Youth Award/Youth Modules. I still feel as though before the level 1 coaching award, an assistant coaching award should be introduced, anyone else have any thoughts on this? Mainly thinking back to when I first done my level one and was thrown in at the deep end coaching an under 8 boys team at grassroots level, I was a bit confused on what exactly I should have done with them. With the structure of the grassroots game, I did not have a more senior coach with the team helping me out. It was just done by the parents before I came in. However, that experience has helped me in the long run when it comes to my coaching. I have been doing it for about 5 and a half years now, since doing the level 1 course while I was studying at University. I am now working up two different parts of the pathway. The main strand and the age appropriate strand. I have been interested in doing some of the specialized courses, but the availability and time to do them has not yet worked out.